Among the various types of clinical management of fractures of the hand, the method of minimally invasive surgery developed by Dr. Del Piñal and his team offers extraordinary results. This technique –based on the insertion of cannulated screws- contributes to a quick and satisfactory resolution of the aforementioned fractures. 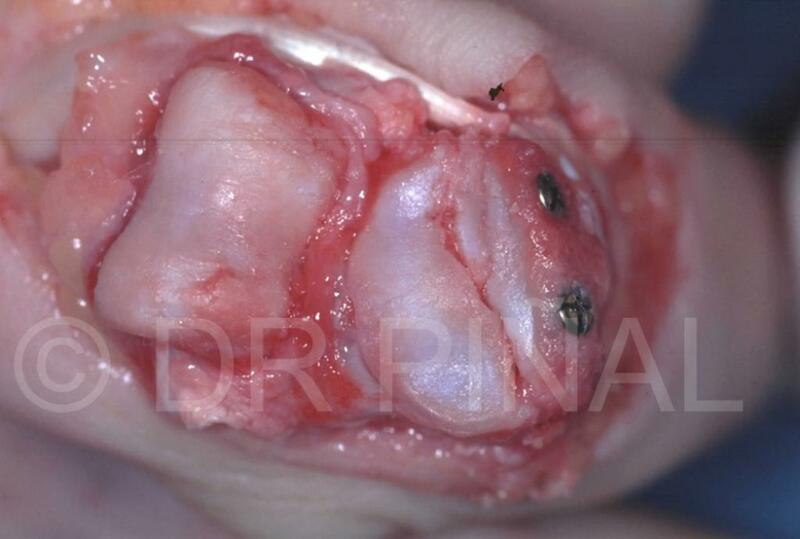 In turn, Dr. Del Piñal is an expert in malunions intervention, ie ‘bad-welded’ fractures which must be re-operated. It should be noted the proximal interphalangeal fracture malunions -which limit the mobility of patient fingers- or those which cause deviations or deformity. Among the wide range of diseases and injuries treated routinely in the clinic, it can be highlighted: articular and metacarpal fractures in the fingers and its malunions (Bennett’s fracture, Rolando fracture), the spiroid fracture of phalanx and fracture of proximal phalanx and the metacarpophalangeal dislocations, or the entire range of possible posttraumatic sequelae in the hand as a whole.